When summer comes to the Pacific Northwest, it’s the best time to head into the great outdoors and, of course, for kids, into the summer camp experience. 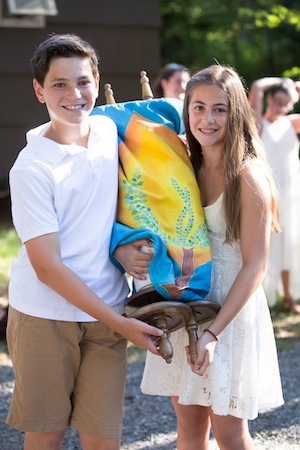 For Jewish kids in British Columbia, there are not only great local camps – Camp Hatikvah and Camp Miriam – but a few out-of-province options worth considering. 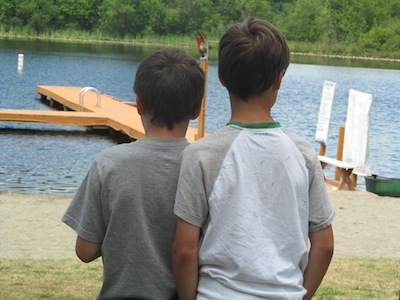 When Camp Solomon Schechter (CSS) was established in 1954, on the shores of Whidbey Island, there was a vision born out of the camp’s now-common catch phrase, “Where Judaism and joy are one.” Sixty-one years later, now located on private, protected lakefront property on the outskirts of Olympia, Wash., the camp is looking to the future again, with the combination of Judaism and joy still central. A Conservative movement-based summer camp, CSS launched a capital campaign in 2014 called From 60 to 120, with a focus on supporting the next 60 years of growth. In an informational social gathering hosted in Vancouver by the camp on Jan. 10, director Sam Perlin shared plans for the campaign and the new facilities that would be born from it. Already halfway to reaching their $12 million goal, Perlin said that if they reach $8 million on time, construction would begin as soon as the summer. New dining and covered sports facilities with programming space are in the works, along with health and welcome centres, all built while preserving and enhancing the camp’s unique wetlands. With several matching grants approved, Perlin noted that Canadians can participate in the matching program to maximize their contributions. He also pointed out that a Canadian donation will be matched with the same number in U.S. dollars, regardless of the exchange rate. For more information on CSS programming or the campaign, visit campschechter.org or from60to120.org. Across the Rockies and into Alberta, Camp BB Riback (a B’nai B’rith camp) is celebrating its 60th anniversary on Pine Lake. Camp director Jerrod Henoch said they’ve been building up their waterfront program to include learn-to-ski and wakeboard sessions. “Our professional-level ski boat and boom, combined with the expert attention of our waterfront staff, sees even many of our youngest campers get up on water skis for their first time at camp,” he explained. Of course, with the Alberta-based location, Camp BB also features a horseback riding instruction program. Camp BB will also be building new camper cabins this spring as part one of their facility enhancement plans. Although the majority of Camp BB’s participants are from Edmonton, Calgary and Saskatoon, Henoch said they do get several B.C. families every summer as well. Henoch said there are several staff and even senior management studying or living in British Columbia with whom a consultation for any interested local families could be set up. More information on the camp can be found at campbb.com. One of the newer Jewish camps in the region is Camp Kalsman. Affiliated with the Reform movement, the facilities are located off the Interstate 5, between Mt. Vernon and Everett in Washington. Entering their 10th summer, director David Berkman said this summer will be one big birthday celebration, highlighted by a community-wide party on July 31. In its first decade, Berkman said the camp’s sense of community has stood out more than anything else. In addition to a heated pool, Camp Kalsman also features a 50-foot tower, a giant swing, a speaking garden and even a petting zoo. With sessions ranging in length from three days to three weeks, the camp serves participants from Grade 2 all the way through high school. Berkman said Camp Kalsman usually sees three to four dozen campers from north of the border, but he is looking forward to seeing that number grow. For more information on Camp Kalsman, visit campkalsman.org.